Music website Last.fm is investigating the leak of "some" of its members' passwords, the UK-based company has said. A message posted on the site's homepage advised all of its customers to "change their passwords immediately" as a precautionary measure. The breach follows similar leaks at social network LinkedIn and dating site eHarmony. 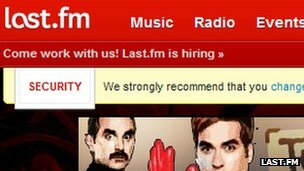 Last.fm apologised, saying it took user privacy "very seriously". It added: "We will never email you a direct link to update your settings or ask for your password. Graham Cluley, security expert at Sophos, told the BBC he worried the sites could have shared the same vulnerability. "Can it be coincidence? It seems unlikely to me. 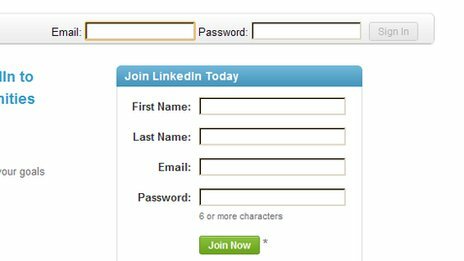 There's a mystery in the middle of the LinkedIn breach about how they got the data. You have to worry there's a common vulnerability. "Is this the end of the story, or is there more to come?" He reiterated advice suggesting users have different passwords for different web services.